In the century of technology, smart devices play an essential role in daily life. Children playing video games, and adults using smart phone or tablets are the common images that happen every single day. How Can You Become a Software Developer? What Soft Skills A Software Developer Need? 2. How Much Do Software Developers Make? However, the question is: Where do all smart devices come from? It is all from software developers. Software developers are creative minds behind computer programs to create software that makes all devices functional and useful. This article shows you more details of what exactly a software developer does. First of all, software developers bear the responsibility for the whole development of a software program. In building a software program, software developers must clarify clients’ plans of using software core functionalities and security. Finally, they start to design the program and give instructions to programmers to code and test. What is the role of software developers? If the program has poor feedback, consequently the software developers need to go back to the first stage of design to fix the problems or improve the program. When the program is delivered to clients, developers will take a part in performing maintenance work and upgrading the program. Developers and computer programmers usually work closely together. But in some cases, developers can do the work of computer programmers such as coding. There are two types of software developers, which are system software developer and application software developer. A system software developer’s job is to create software that makes computers and other devices function properly. These might include commercial operating systems for computers that the public can buy or systems built exclusively for organizations. System software developers can multi-task from building the system’s interface to operating systems that control most of customer electronics in use today, including in phones or cars. On the other hand, application software developers design software programs such as word processors, databases, spreadsheets, and games that are mass marketed or developed for businesses, organizations and others according to their needs and specifications. Application software developers also help to create customer software for specific requirements from customers, commercial software for public use or even complex databases for organizations. Furthermore, application software developers create some programs for Internet users within a company’s intranet. What does a software developer work on daily? Working in this field requires a Bachelor’s degree, even some employers prefer candidates who have master’s degree in computer science. If your major is in computer science with a focus on building software, your first job can be a software developer. What skills you need to become a software developer? Each industry has its own principles, hence software developers who work in some industries need to have essential skills related to that line of business. For instance, if you want to build a software for an insurance company, you must have a good understanding of how that industry operates. This understanding will help you create software that meets the needs of those who will use it. Software developers need to have crucial soft skills because it helps to maximize their efficiency in entire development process. Analytical and Problem Solving Skills: The former will help you determine users’ needs. The latter will help you troubleshoot problems that arise during the development process. Communication Skills: Effective listening and speaking skills are needed in order to convey instructions to colleagues who are working on projects you are overseeing. Interpersonal Skills: Since software developers often work as a team, they need to get along with each other. This skill set, including social perceptiveness and the ability of coordination, is essential when dealing with clients. Detail-oriented: You must be keen on details because there are multiple parts of the systems and applications on which you are working. Creativity: You always need to be creative to work as a developer because you will have to come up with ideas for new applications and systems. Being a software developer is often considered a high skill profession. It is a rather demanding occupation for those aspiring to be. It may not be as top notch as software engineers, but working as a software developer usually has higher salary than some professional careers. So how much do software developers make? What are the factors that contribute to their annual salary level? Why do they receive higher salary than many other fields of work? Currently, the United States stands top in terms of median salary of software developers, followed by Europe, Asia and Australia. However in the United States, annual salary also varies depending on state. So first let’s look at how much does software developers make in the United States. For instance, software developers in California enjoy the highest annual salary in the United States at an average of $110,000. This is largely due to the concentration of major tech companies and startups in the San Francisco Bay Area. Meanwhile, in other areas such as Texas, North & South Dakota and Michigan, this figure is only around $65,000 to nearly $100,000. US Software Developer Salary By Region. Australia, being the second place, comes in nearly 22% less at $90,000. Another hub for technology, Western Europe, shows a median of $60,000 (roughly the amount in Midwest U.S); Eastern Europe as a major IT outsourcing hub in the world shows only a modest $28,000. There are many factors that have affected to software developers salary. For example, someone who earns $28,000 a year can afford much in Europe, but not in California. These factors will be discussed below. First, we need to consider the cost of living which is the most important factor. In states like the California and New York in the U.S, the cost of living is consistently among the most expensive in the world. 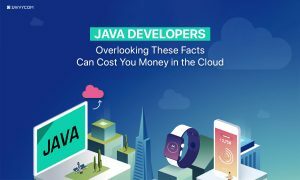 Therefore, it is understandable that software developers in Boston and Los Angeles make about $15,000 or $20,000 more a year than in other regions as more income is in higher demand. So how much do software developers make in Australia and New Zealand? Similarly, Australia and New Zealand, being among the top most expensive countries in the world pay their software developers more than other regions, and thus their annual salary comes second after the U.S.
Secondly, company size. Normally the formula is that the larger the company is, the more it pays its employees. For instance, major tech corporations with employees exceeding the number of 10,000 like Google, Facebook, Microsoft, eBay, Symantec provide annual salary to their software developers at a fixed above-$100,000 amount, sometimes reaching as high as $130,000. Comparably, smaller companies with less than 10,000 usually pay software developers at around $75,000-$91,000 a year. Thirdly, education and experience affect significantly with how much software developers make regardless of company size. There are certain job positions in tech companies that demand higher qualifications, provide stiffer challenges and require higher educational standards. For instance, more cutting-edge jobs such as software engineers often accompany with a Master’s degree in job requirements, or even a PhD. if necessary. Also, aspirants who traveled abroad to study about software development and obtained a Master’s degree or just a Bachelor’s degree in this field may earn more than those without those degrees. How much do software developers make? Still up to where you live in. If other professional careers yield a high income, then software developers nonetheless deserve a respected spot among them. Why is that? Software developers encompass skills which are difficult for many to master. It does not just include basic requirements such as problem solving and team working; rather, it takes every bit of a person to have the thinking of a detective, the mind of an inventor, the imagination of an artist, the expertise of a programmer and coder, the logic of a mathematician and the technical understanding of an engineer to become a software developer. The artist may mingle with visuals, are right-brained with limitless imagination and creativity, while the engineer is rigid, fixed, and firm. They obey the formulas. A software developer on the other hand needs both the creativity of an artist and the discipline and logic of an engineer. Because software development requires both. Normally it is very rare to find a software developer claiming to have mastered both, but major tech corporations tend to seek those who have. In conclusion, software developer is a decent job in terms of salary for those who wish to follow it. But bear in mind the interfering factors just as geography, company size and experience. Those will determine how much do software developers make. Since choosing where to start a career in software development determines everything else in the long run to become a master developer. There has been much debate over the distinction between software engineers vs software developers. In the untrained eye, they are basically the same type of people: the stereotypical computer whiz kid/nerd in Hollywood movies who does nothing more than typing, hacking and staring at computer screens while the main hero takes over the glory. Coding is just a bread-and-butter job for engineers, developers and programmers alike. In the IT industry, software engineers vs software developers share many common duties. They both work around the clock on computer screens, writing and coding programs for their software to function. They both share the “back side” of the office. In addition, both engineers and developers also share the same duty of troubleshooting issues and solving problems around their software. However, in terms of duties/responsibilities, there are sheer differences between them as well. Perhaps the most obvious one would be the scope of work that they need to perform; for instance, if the programmer is simply a records keeper, then a developer would be the accountant and the engineer would be the elite chartered accountant. The developer only focuses on software capabilities, problem solving and providing technical aid to users. However the engineer not only does those duties but also interacts with customers directly. They give advises and solutions to both customers and developers under their umbrella. In short, software engineers can fulfill the duties of developers but also can perform additional roles in a software company. A developer focuses more on individual customer needs, and thus creates more in-depth customizations or modifications for personal demands of an app or a video game. At Savvycom, both software engineers vs software developers hold crucial importance to our success and they are the majority among our team of 100 people. However, as Savvycom aims to build a team of expert software engineers in the long run, we emphasize our recruitment & training for our technical employees to achieve that dream. We take into deep consideration our clients’ ideas and feedbacks, and from that we always strive to make our development team ever better than before. When thinking about the scope of work of software engineers vs software developers it is important to take into account their work perspective. A developer mostly focuses on how to satisfy an individual customer demands. Hence, they think primarily about making their products satisfactory accordingly to that customer only. They go into specific details of individual products to guarantee the best quality for each customer. They make calculations and mathematical analysis to software development process. While they may have some degrees of freedom in it, they still need to follow a set of guidelines. On the other hand, a software engineer looks at things on a grander scale. They must target an entire market of an entire industry, country or region. The engineer applies engineering principles to the software development process. Instead of inventing methods to satisfy individual customer demands, the engineer aims to make products affordable, convenient and reusable to the masses. A good comparison would bet between Microsoft Windows and a video game. In some countries like the United States, the word “engineer” is usually more popular when it comes to referring to people in software development. Whereas, in Sweden or Uruguay, the word “developer” is more popular. Some developers refer to themselves as engineers either because of their country’s tech culture. Either that or because of their official job title/description. In some companies, the term “software engineer” usually is a more fancy term to use and in some companies’ cultures, “engineer” is normally a higher position compared to “developers” since engineers often deal with the bigger picture other than just development. In conclusion, the primary differences between the terms “software engineer” and “software developer” rest on the responsibilities. These lie in both software development processes and their perspectives in the software industry. A software engineer can be a developer, but a developer may not be an engineer. The engineer’s role dwarfs that of the developer. Therefore, it is important to take into account these categories to distinguish between software engineers vs software developers. In the IT world and in life as a whole, nobody is the ever same even if their job titles say otherwise.